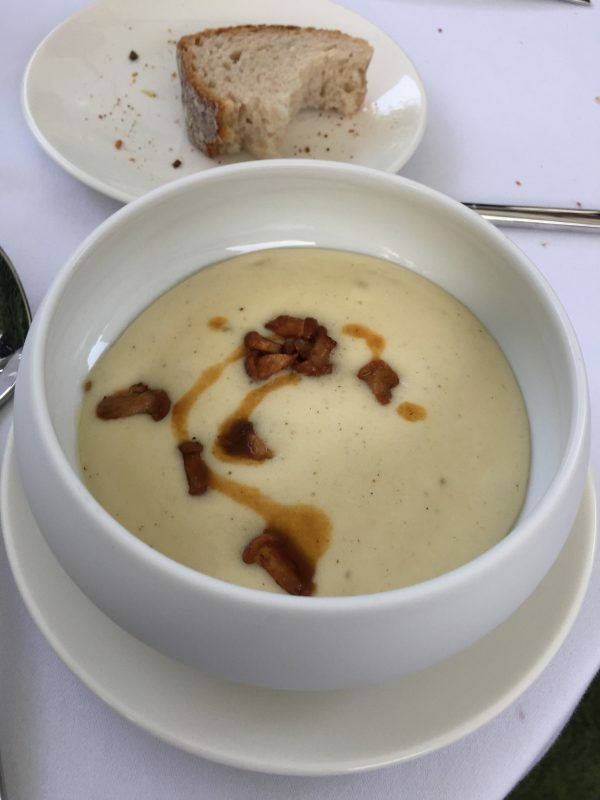 If you ever find yourselves in Luxembourg (and we do often to meet some relatives and friends), you should dine at a beautiful restaurant called LES JARDINS D’ANAÏS set in a huge conservatory with tables in a beautiful garden near a canal. It is also a boutique hotel, situated in the Grund, the old part of Luxembourg City. New owners have great ambitions and chef Christian Quentiri offers a classic and creative cuisine. 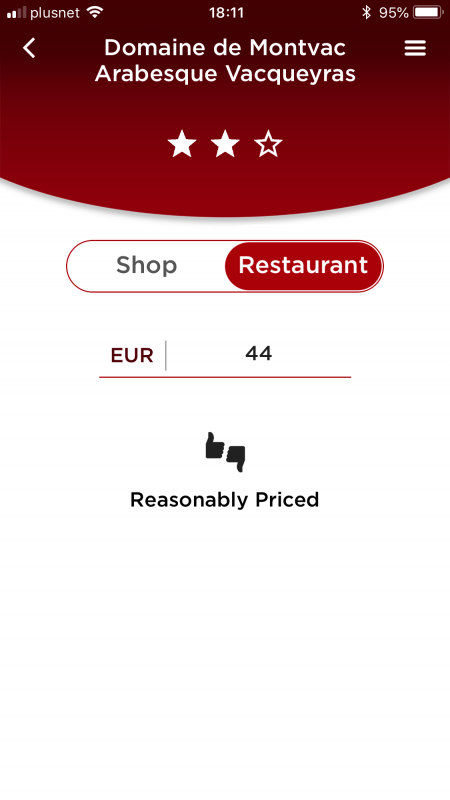 There are four fixed priced menus as well as an à la carte but we opted for the ANAÏS FAIT SON MARCHE (Anaïs goes to market) menu at €98 which seemed the most varied and original although not the most expensive. 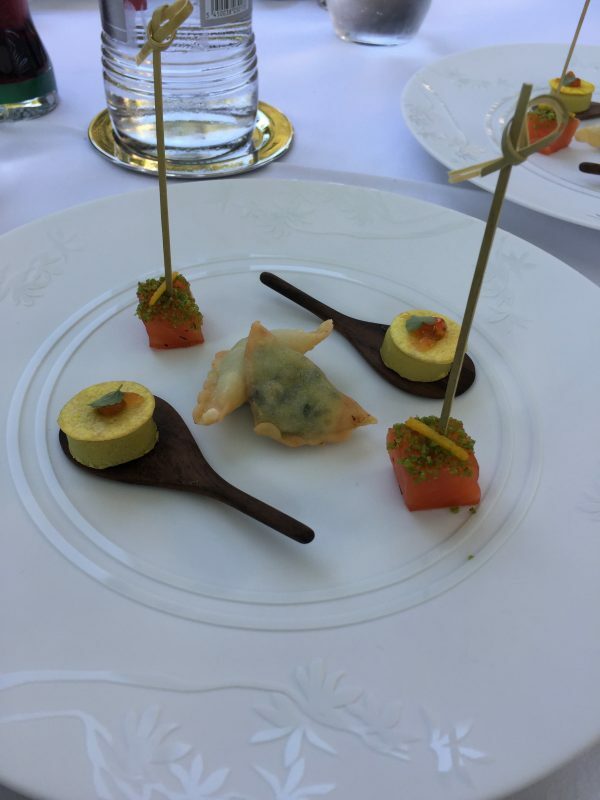 The usual array of amuse bouches arrived whilst we were having our aperitifs waiting for the first course to arrive which were fine and delicate. 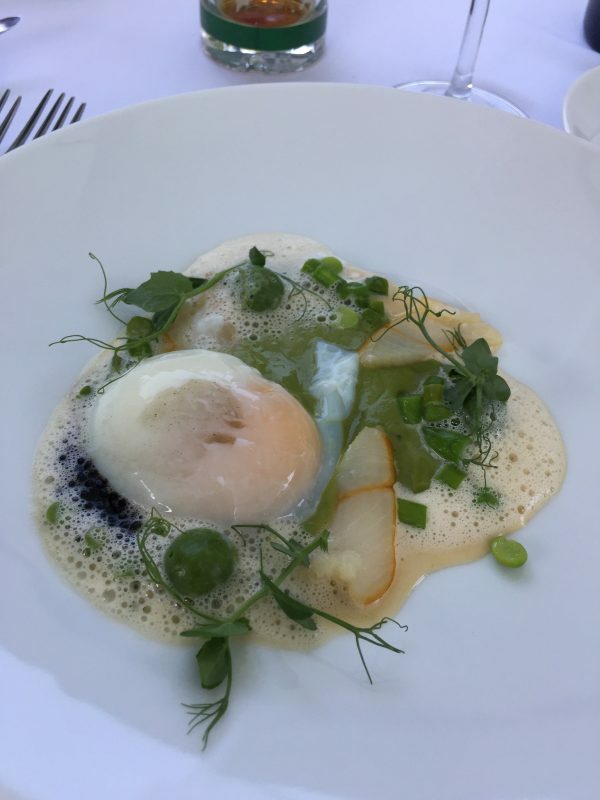 a slice of Smoked Haddock and peas, with a smoked Haddock cream. A beautiful invention which filled your mouth with a very delicate taste of eggs smoked fish and green herbs. 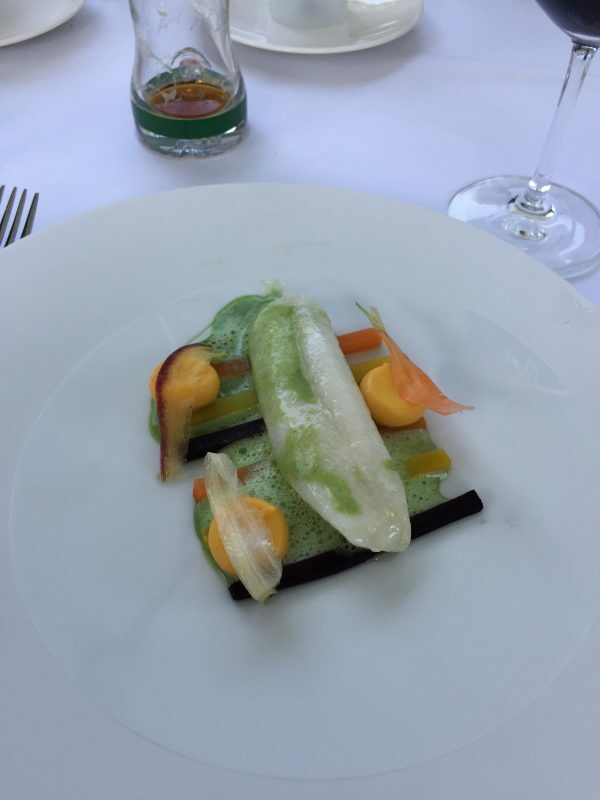 John Dory steamed very delicately in a citrus infusion sprinkled with peppermint oil served with home grown “kirsch” carrots – the whole glazed with a green herb citrus sauce. Beautifully cooked fish, very delicate flavours, with a slight mint tone, very pleasant. 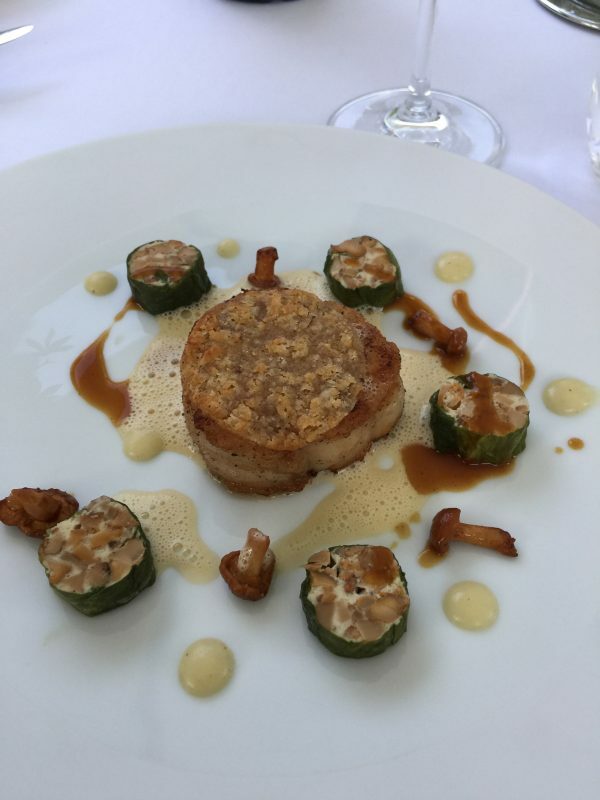 Perfectly shaped in a circle, the sweetbreads are topped with a very thin crispy nut crust, served with a Juras Vin Jaune sauce with girolles wrapped in lettuce leaves. This is top quality stuff, a favourite of ours. Same finesse of taste and marriage of flavours. 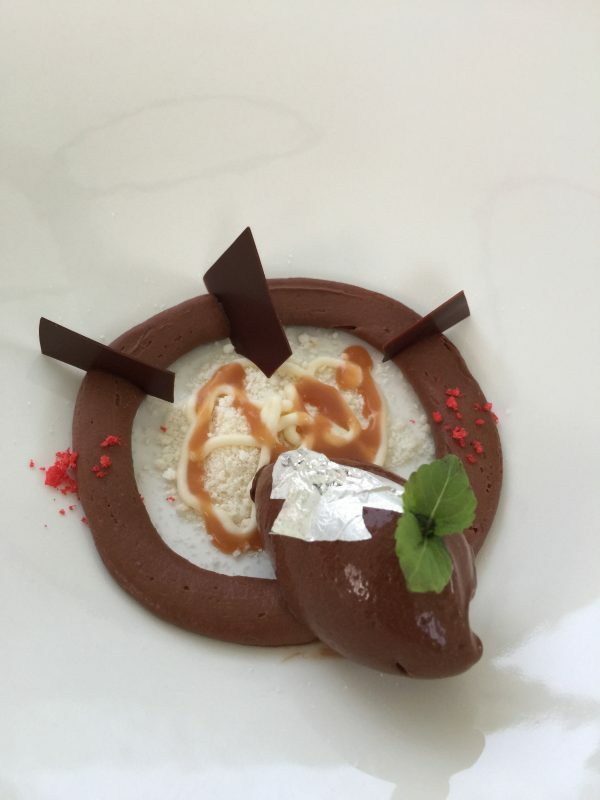 Very fine leaves of Guanaja chocolate stuffed with a Caribbean chocolate mousse, and caramelised hazelnuts. 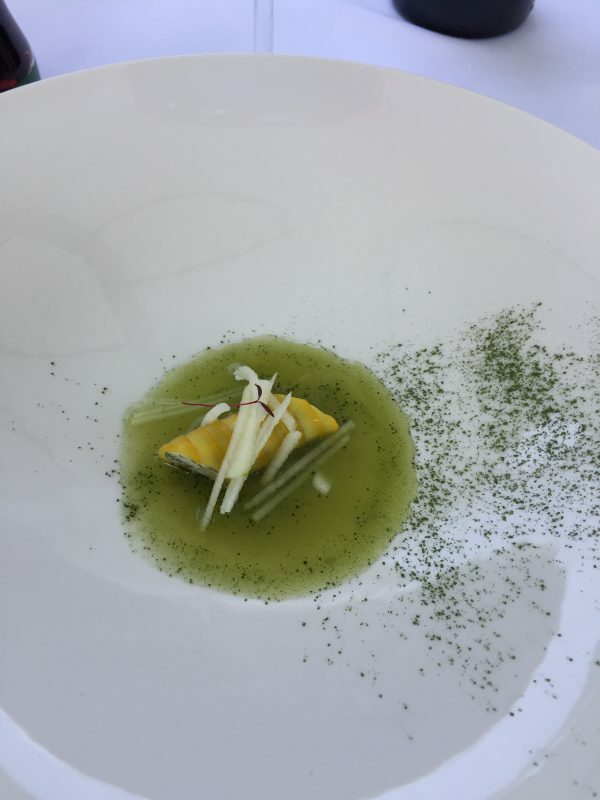 A very refined combination that did not destroy the enjoyment of the previous dishes and marked a beautiful interlude. 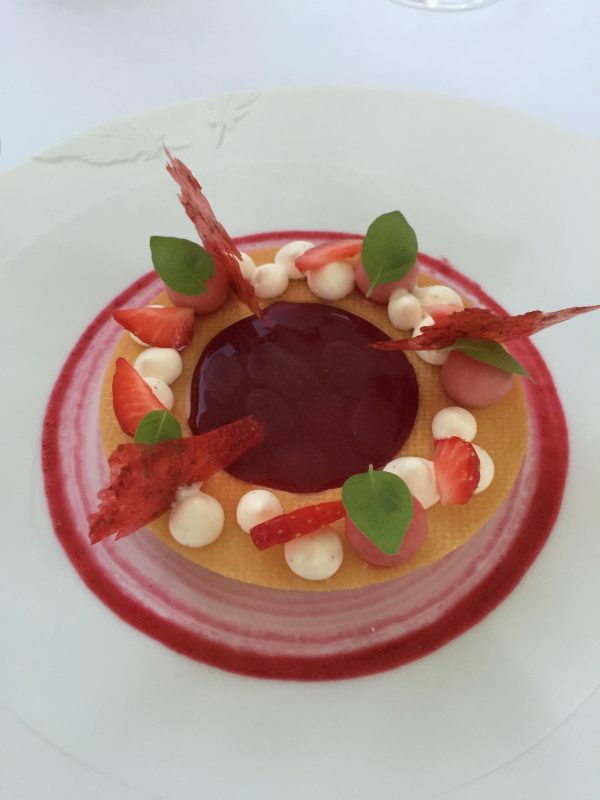 Parfait, served with a raspberry coulis with shiso leaves and lemon cress. 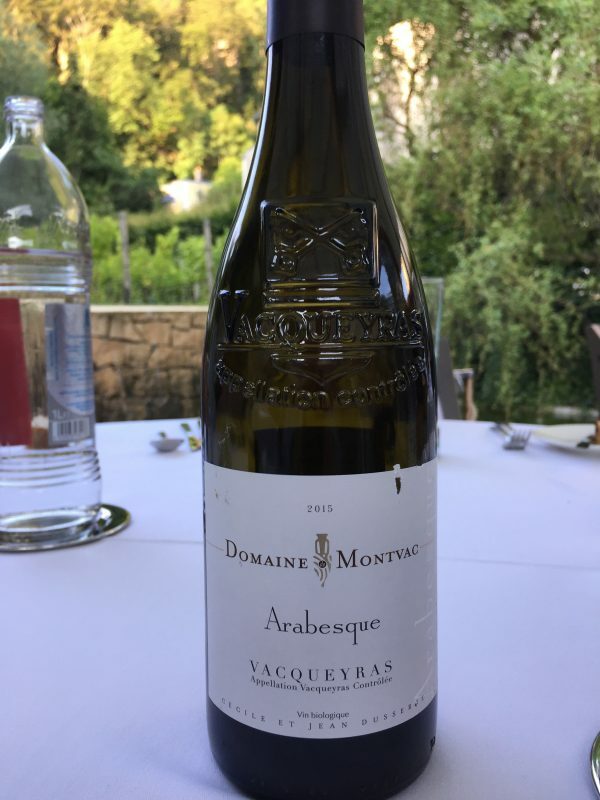 It cleansed the palate very pleasantly. Couldn’t resist this beautifully presented plate of petits fours with our coffees! A beautiful experience albeit sometimes too delicate to determine various tastes described, but beautifully presented and very generous. The chef is obviously well skilled and must be looking for his first Michelin star. On this performance he deserves it!